Regardless of the season, each car enthusiast wants to enjoy the vehicle’s potential on the road. At the same time, a car’s aesthetic appeal is just as important. Replacing your tyres on a regular basis plays a crucial role in this respect. However, if the rims aren’t as up to par, the result won’t be the same. Similar to how we choose our clothes carefully, complete wheels should be selected just as carefully, because they decidedly impact the car’s aesthetic. Hence, it comes as no surprise that most drivers prefer choosing alloy rims for the summer or winter. Nothing battles a combination of cutting-edge tyres with alloy rims featuring a sleek design. Aside from making it look better, you also maximise its overall value. 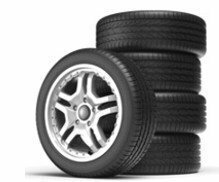 Of course, performance has a lot to do with your choice of tyre and wheels, even though this is overlooked, most of the times. For example, when chosen right, alloy rims could make cornering, braking and handling increasingly more pleasurable. Choosing complete wheels is linked to a handful of benefits that are worth noting. Not only that doing so saves you a lot of time, but it is also convenient. Additionally, if you’re looking for malleability and optimised performance, alloy rims are the way to go, because, in comparison to steel, alloy is more lightweight and malleable, not to mention that it has a luxurious look. That being said, if you seriously want your car to look superb, there’s no better way of attaining that but by getting a set of wheels. 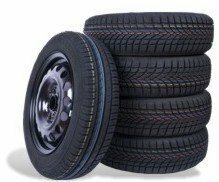 You can look through the extensive catalogue of complete wheels on eiretyres.com. Not only that you can choose complete wheels for summer or wintertime, but you may choose from a wide range of styles, colours and shapes, depending on your preferences.